Questions remain about whether testosterone therapy increases the risk for cardiovascular events. The American Association of Clinical Endocrinologists (AACE) is speaking out on the use of testosterone therapy and whether it is unfairly being categorized as contributing to an increased risk for cardiovascular disease (CVD). On Sept. 22, 2015, AACE, in conjunction with the American College of Endocrinology (ACE), issued a position statement questioning claims that testosterone therapy increases the risk for CVD among users.1 They cited a lack of compelling evidence connecting testosterone therapy with cardiovascular (CV) events such as heart attack and stroke. Although several recently published studies support the association between low testosterone concentrations and CV problems, especially in older men, the AACE position statement notes that low testosterone is often a marker of CV illness rather than a causal factor. In addition, the AACE position statement highlights the significant benefits of testosterone therapy in men with CV risk factors, including a decrease in fat mass, an increase in muscle mass, decreased insulin resistance and a reversal of metabolic syndrome in some patients. “The purpose of this position paper is to critically assess the relationship between testosterone therapy and cardiovascular risk,” said position paper co-author Sandeep Dhindsa, MD, associate professor of medicine and chief of the division of endocrinology and metabolism at Texas Tech University Health Sciences Center in Odessa. “At this time we do not know if testosterone therapy can increase or decrease cardiovascular events. This question can only be answered by a large randomized, controlled trial in which men with low testosterone are randomized to testosterone therapy or placebo and followed for a number of years. Such a trial has not been conducted,” Dhindsa said. In this trial, 308 elderly men were randomly assigned to testosterone or placebo for 3 years. Participants’ carotid intima-media thickness and coronary artery calcium scores served as co-primary outcomes. “Testosterone therapy did not change these parameters. There were a small number of cardiovascular events that were not different between testosterone therapy and placebo. However, the trial was not powered to assess the main question: Does testosterone therapy change cardiovascular events?” Dhindsa told Endocrinology Advisor, noting that there is no scientific basis to the assertion that testosterone therapy increases CV events. In the position statement, the AACE Reproductive Endocrinology Scientific Committee, which authored the paper, calls for large-scale studies focusing on controlled trials to determine the impact of testosterone therapy on CVD risk. The committee also notes that epidemiologic studies strongly support the association of low testosterone concentrations and hypogonadism with CV events and all-cause mortality, especially in elderly men. However, it suggests that low testosterone could be a marker of illness and not a causal factor. “Endocrinologists deal with patients who have low testosterone on a regular basis. Testosterone therapy is considered to be a long-term therapy. We need to understand its long-term risks and benefits. The longest randomized, controlled trials are 3 years long and have not evaluated cardiovascular events with testosterone therapy. In view of the widespread use of testosterone therapy, it is imperative that a trial of testosterone therapy and cardiovascular events be funded and conducted,” said Dhindsa. 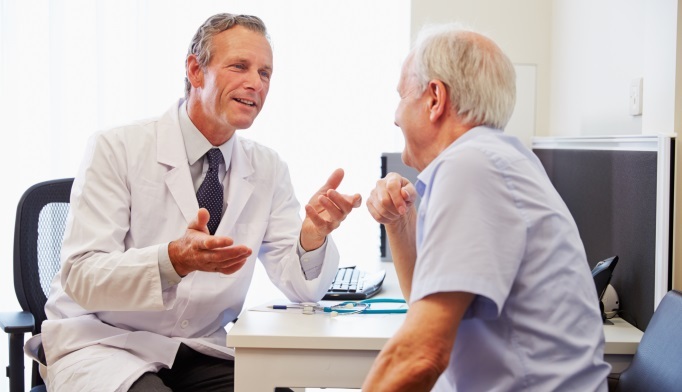 There is a widespread perception that hypogonadism is overdiagnosed and that testosterone therapy is not being prescribed in accordance with guidelines at some clinics, according to Dhindsa. Moreover, some researchers have suggested there are large numbers of men who are being started on testosterone therapy without appropriate diagnostic work-up. “In my opinion, this is probably true. This perception is further enhanced by clinics that advertise their expertise in men’s health or low testosterone. The position statement emphasizes that testosterone therapy be considered in accordance with guidelines and after careful assessment and discussion of efficacy expectations and side effects of testosterone therapy with the patient,” said Dhindsa. The agency also requested updated labeling that reflects the possible association between testosterone use and an increased risk for heart attacks and strokes. The AACE committee agrees with the FDA conclusion that the signal for CV risk is weak and that there is a need for definitive studies, but it takes issue with the agency’s recommendations for use of testosterone therapy. However, the AACE committee contends that these recommendations are unclear and the decision to prescribe testosterone therapy should be guided by signs or symptoms and testosterone concentrations rather than the underlying cause. The position paper also states that men should be told that there are no definitive studies demonstrating efficacy or risk for treating men with these conditions. Further, the committee recommends that clinicians “be extra cautious in the symptomatic elderly with demonstrably low testosterone levels prior to embarking on replacement therapy.” It also recommends that clinicians avoid treatment of the frail elderly until better outcome data are available. “I generally agree with the position statement. While it is possible that testosterone may have a small increase in myocardial infarction, in general, when given appropriately to hypogonadal men, its benefits appear to outweigh its negatives,” John Morley, MD, who is the director of endocrinology at Saint Louis University in Missouri, told Endocrinology Advisor. John Buse, MD, PhD, chief of the division of endocrinology at the University of North Carolina School of Medicine in Chapel Hill, agrees with Morley, although he said there are many issues to consider when prescribing testosterone therapy, and he questions the timing of the release of the AACE position paper. “The authors are to be congratulated for grappling with an incredibly complex issue. In the absence of a well done trial of testosterone treatment in older men, it is hard to fault either the FDA for suggesting caution in the face of possible harms or AACE for suggesting that some men can derive meaningful benefits. One might argue that the article is premature, as much greater clarity on the issue should be available within the year when the T-Trial results are reported,” Buse told Endocrinology Advisor. In contrast, urologist Farid Saad, MD, said he believes it is advantageous that this position paper has been issued now rather than waiting. He explained that it was important for AACE to address the demands of the FDA. Goodman N, Guay A, Dandona P, et al; AACE Reproductive Endocrinology Scientific Committee. American Association of Clinical Endocrinologists and American College of Endocrinology Position Statement on the Association of Testosterone and Cardiovascular Risk. Endocr Pract. 2015;21(9):1066-1073. Basaria S, Harman SM, Travison TG, et al. Effects of Testosterone Administration for 3 Years on Subclinical Atherosclerosis Progression in Older Men With Low or Low-Normal Testosterone Levels: A Randomized Clinical Trial. JAMA. 2015;314(6):570-581. SafetyAlertsforHumanMedicalProducts/ucm436280.htm. Published January 31, 2014. Updated May 15, 2015. Accessed September 2015.